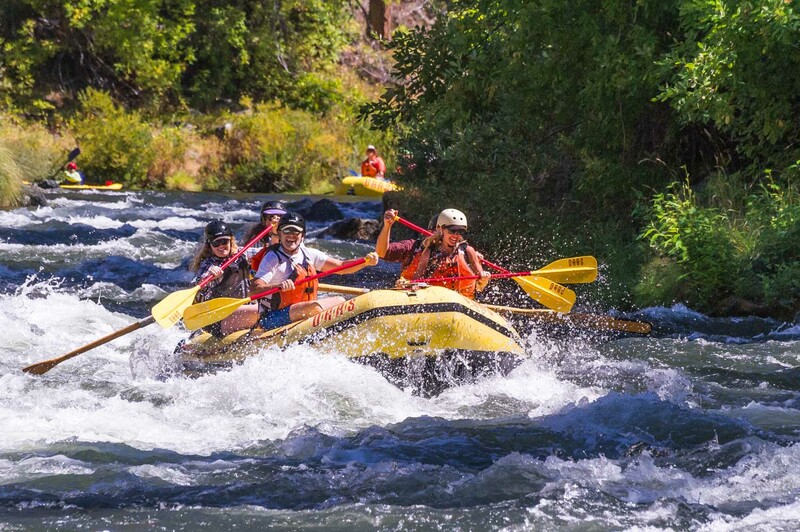 Raft Oregon's Wild & Scenic Rogue River, featuring family-friendly & adult-only gourmet rafting adventures! 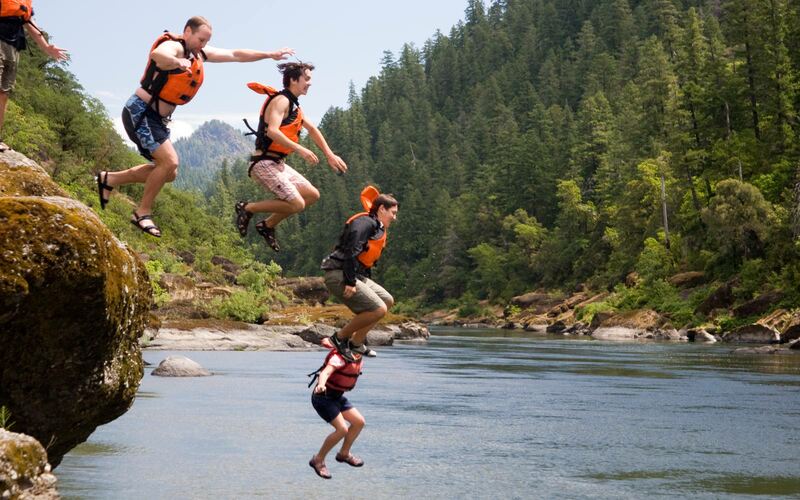 Rafting on the Rogue River is the ideal start to an all encompassing Oregon adventure vacation. 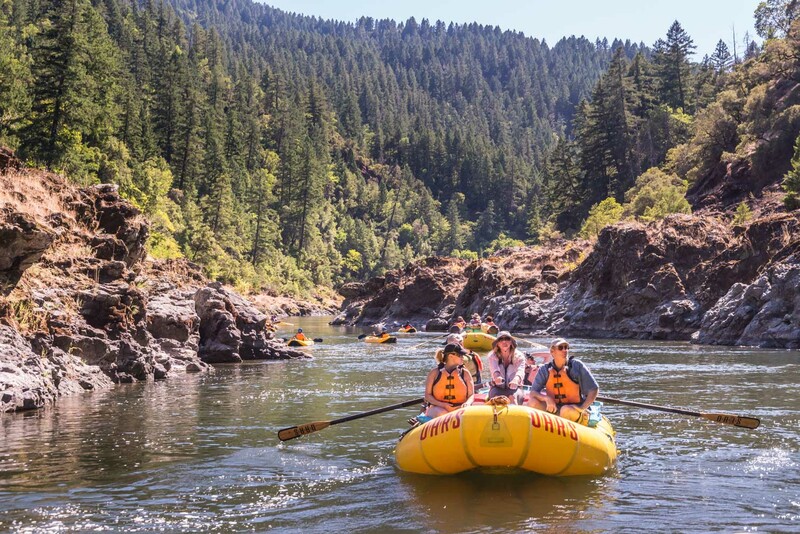 This 3-, 4- or 5-day Rogue River whitewater rafting journey down the 40 miles of this scenic waterway in southwestern Oregon, takes you through the storied Siskiyou Mountains, explored for centuries by Indians, trappers and gold prospectors. 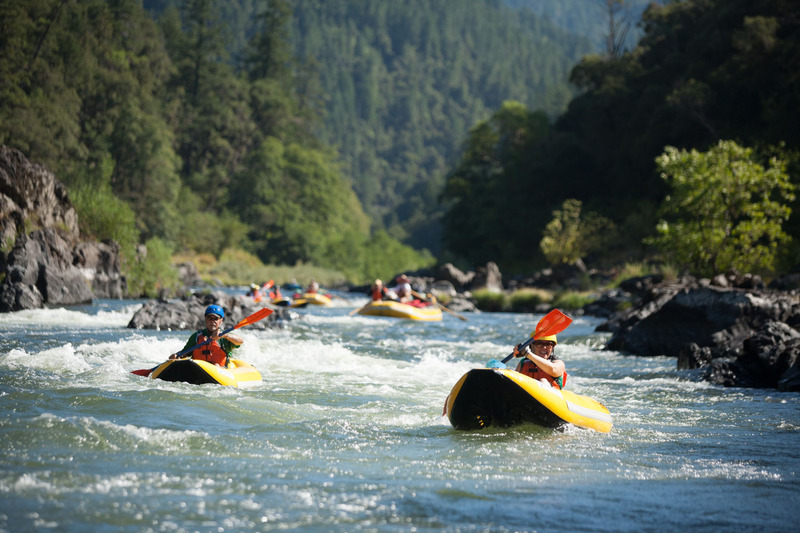 What’s more, the warm, gently surging waters of the Rogue River combine with “one-of-a-kind” rapids, which provide plenty of whitewater excitement – without an “extreme” element. 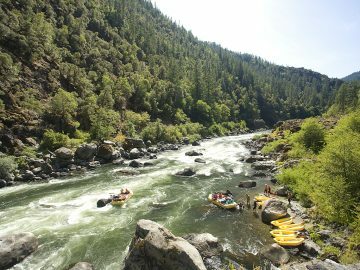 Rogue River rapids such as Blossom Bar and Rainey Falls are sure to inspire a generous dose of adrenaline interspersed with lots of calm float time in between them. 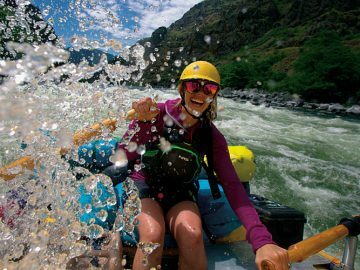 For the more adventurous, our inflatable kayaks provide an up-close and personal encounter with the rapids of the Rogue. 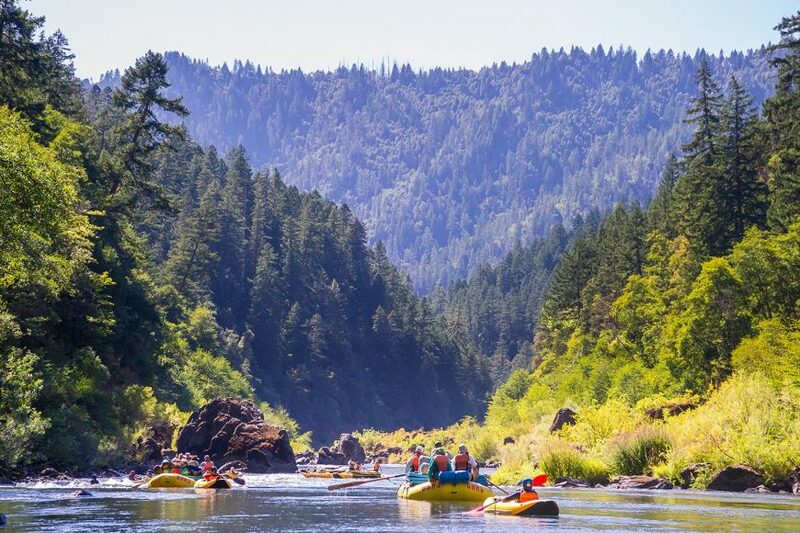 Oregon’s Rogue River winds its way through one of the most beautiful pine-forested canyons in North America and gained federal “Wild & Scenic” wilderness designation in 1968. 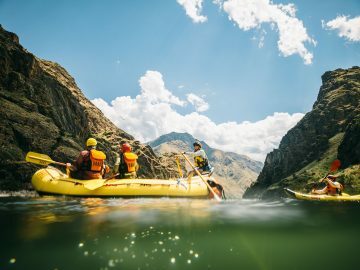 This OARS adventure vacation in Oregon shows off this river’s best features as it flows from its headwaters high in the Cascades near Crater Lake National Park towards the incomparable Oregon coast through the Rogue River National Forest. 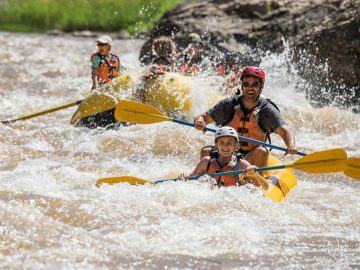 A great family rafting tour that works perfectly into trips to the state’s untouched ocean beaches and nearby national parks. 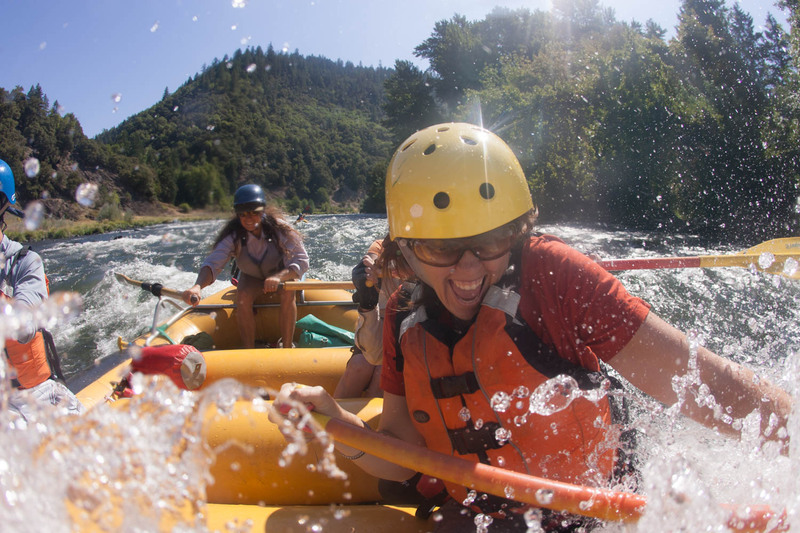 Information for this Mile-by-Mile guide was gathered from photographer and river guide, Matt Leidecker’s “The Rogue River – A Comprehensive Guide from Prospect to Gold Beach”, the BLM’s Rogue River Float Guide, in-house knowledge and a from a variety of sources on the Internet. 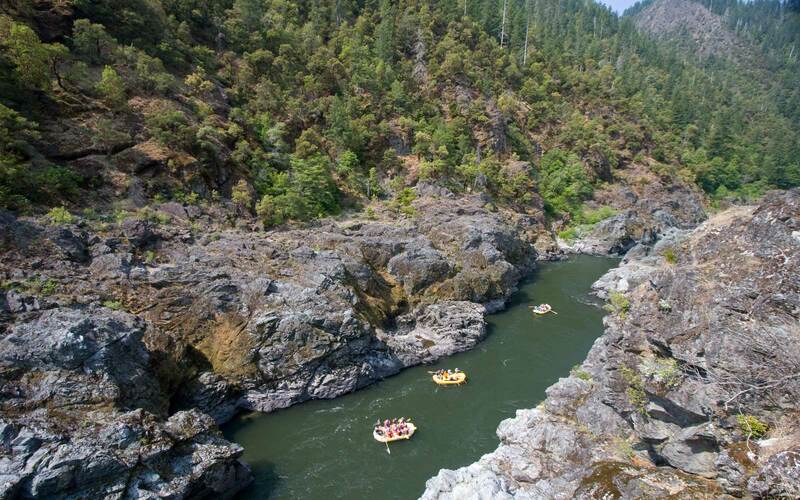 Put-in (start) at Almeda Bar or nearby launch site for OARS Rogue River rafting trips. Smullin Visitors Center (III). 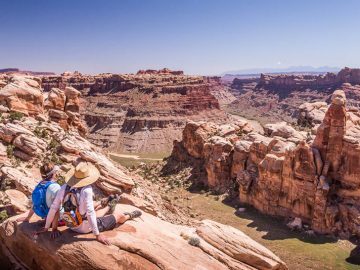 We may pause here for a brief rest stop to check-in at the center and pick up our permit to enter the Wild & Scenic corridor. ALMEDA MINE. Exciting volcanic ledge drop with waves just below Almeda Park with formations rich with mineral deposits. Miners discovered gold here in 1852, in addition to copper, silver and lead. ARGO FALLS (III). Biggest rapid between Grants Pass and Grave Creek, we’ll avoid rocks in the channel as the river winds us right. GRAVE CREEK FALLS. We’ll pass under Grave Creek bridge as we enjoy beautiful surrounding scenery and prepare to tackle some strong hydraulics. RAINIE FALLS (III-V). This is typically a rapid we’ll scout along the left bank before either walking around or running the “fish ladder” on the right, depending on the water level. TYEE RAPIDS (III). The gravel bar pushes water towards the right bank while a small bedrock island splits the channel. At low flows, we’ll enter with caution as waves can push our rafts towards a large hole at center right. WILDCAT RAPIDS (III). Splitting around a center divide, the river accelerates into a boulder-clogged right turn at the confluence of Wildcat Creek. SLIM PICKINS RAPID (III). An old dredging platform used in mining days can be seen here on the left. Black Bar Lodge. 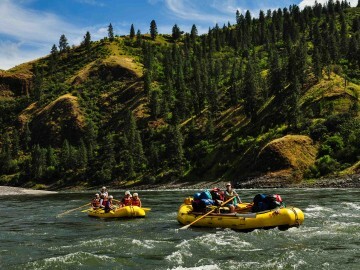 You reach this riverside resort on river left after charging through some Class III whitewater. In the late 40s, gold hunters frequented this spot. Today, the lodge is a popular rest stop for rafters in the summer and hikers each spring. This will be our first night’s stop on lodge-based trips. On standard camping trips, we will float on by. HORSESHOE BEND RAPID (III). 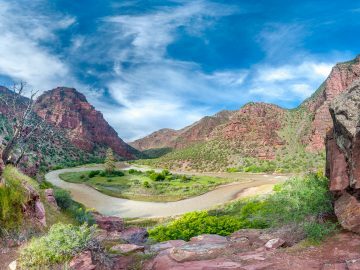 This rapid encompasses the outside of right-hand bend as the river completes a 180-degree turn. Dulog Creek. Up this creek is a beautiful waterfall, which we sometimes scramble up to if the trail isn’t blocked by windfall. KELSEY FALLS (III). This rapid is divided by a Giant Flat Boulder, which was located of the left bank prior to a dynamite blast by boatman Glen Wooldridge in the early 1900s. Sturgeon Rock. Sports Illustrated Magazine wrote an article expressing how this large, high rock was a prime fishing spot along the Rogue; today, it is subsequently referred to as the Sports Illustrated Rock. Zane Grey Cabin. After numerous visits to the region,writer Zane Grey built and settled here on Winkle Bar in 1927 with his family and resided along the river throughout the 30s. This estate was recently converted into public lands when the American River Group initiated a Land Trust. Rogue River Ranch. This historic ranch – now currently managed by the BLM – is open to visitors and includes an optional tour of their small museum. Marial Lodge. Originally owned by Tom Billings, this lodge was managed by his daughter Marial for many years before it was sold to Ted Camp just prior to the biggest flood on record (December 1964). 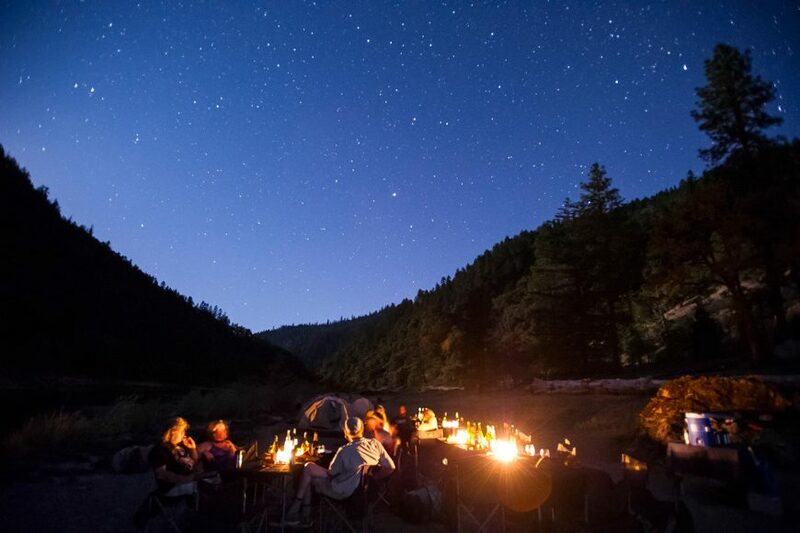 This lodge is well known for its family hospitality and close proximity to the Rogue River trail. Stair Creek Falls. This dramatic waterfall cascades behind an alcove on river left. The view from the trail is called Inspiration Point. BLOSSOM BAR (IV). 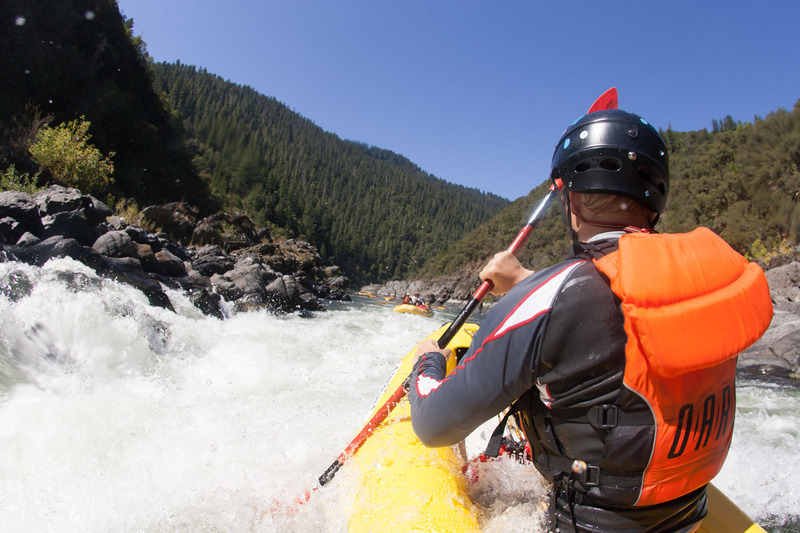 The largest and most difficult rapid within the Wild & Scenic section. Many boulders cluster the river here at the end of two vertical drainages, demanding that guides take challenging lines to maneuver around them. Its name stems from the abundant pink azalea flowers that color the banks along the rapid in the spring. Paradise Lodge. 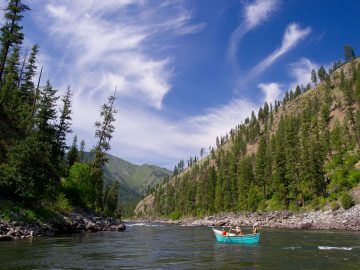 Situated high above Huggins Canyon, this rustic lodge sits on an expansive deck above the river and was originally built as a farm but began hosting guests overnight to cater to traveling hikers and passing boaters. Half Moon Bar Lodge. This property was deeded to Andy Huggins, a miner and hunter in the early 1920s. Bill and Betty Norfleet were the third owners who maintained the property for over 20 years, maintaining good relations with the various outfitters that ran the river. East Creek (The General’s Cabin). This is a small camp with concrete stairs that lead to a vacation cabin originally owned by WWII general Curtis LeMay. Tate Creek Slide. 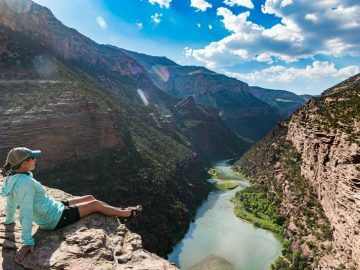 Located at river right, you’ll find a sandbar pull-in that leads to a steep ravine with a trail heading up towards Tate Creek. In approximately one mile, you’ll reach a waterfall that pours into a crystal clear pool – the perfect natural waterslide! Tacoma Camp. 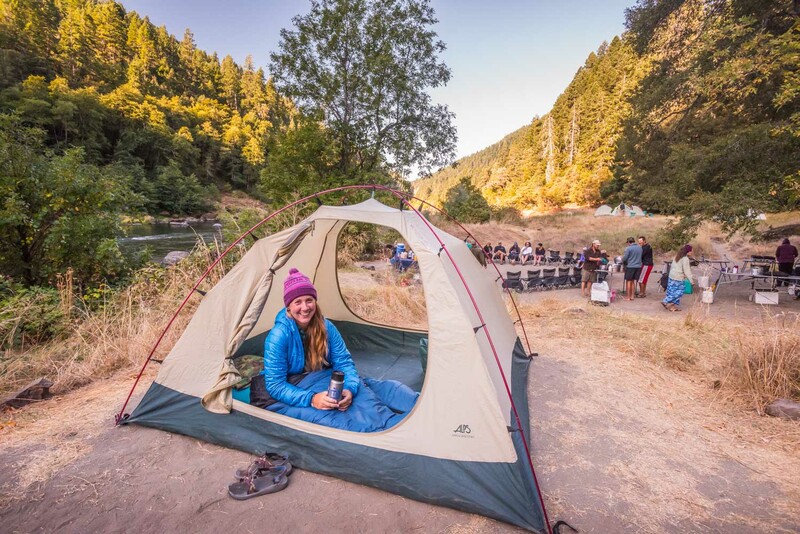 This camp contains an assortment of comfortable spots for your tent; our guides will cook dinner under a live oak tree as you make camp on top of a grassy hill overlooking the river. Clay Hill Lodge. Although this lodge was used by Glen Wooldridge in the 40s as a private retreat for his river guests, it was originally homesteaded by the Thomas Family in 1914. UPPER CLAY HILL RAPID (III). Water drains to the right side of a rock located just below a large gravel island, creating the perfect surfing wave at some flows. Flora Del Creek. This lovely waterfall and jump rock is a common play stop on our last day. Illahe Lodge. Constructed in 1944 by Ernest Schneider, the Illahe’s ownership has successfully stayed in the family since its inception, and is a great casting spot for visiting fisherman. It also marks the end of the line for hikers along the Rogue River trail. TAKE OUT (end) at Foster Bar for OARS Rogue River trips. 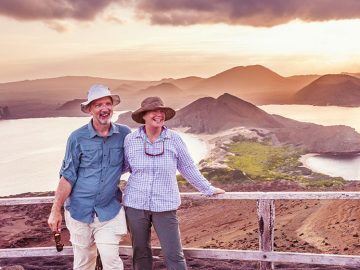 “I added up the number of OARS adventures I’ve been on through the years and came up with 10. It’s truly amazing that they just keep getting better and better! The customer service aspect is incredible, forget Marriott, you guys could teach the customer service course! (Marriott has long been considered the standard for customer service!) 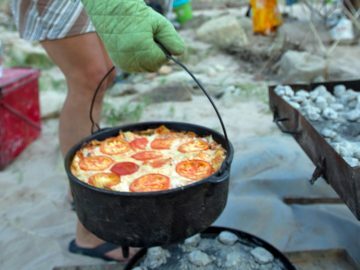 You’ve got them beat and camping no less! I can’t come up with a single thing to change! The guides truly made this trip; they went the extra mile and made the trip a ’10’ on the Richter scale! Our friends said it was the most relaxing, exciting, well organized, fun trip they’ve ever been on, being ‘unplugged’ is the best! Our other friend described it as ‘detox’ from TV, cell, fax, email etc! If you were rated like the hotels this would have been a ‘five star’ trip. The head guide and his crew were OUTSTANDING!!!!!!!!!!!!! BRAVO!!! !